Some one asked me to sell my story “The ghost of vikas” to a producer . I am waiting to sell it…….contact me O rich producer!!!! Next story Last chance to catch “Yours Digitally, Madras”! 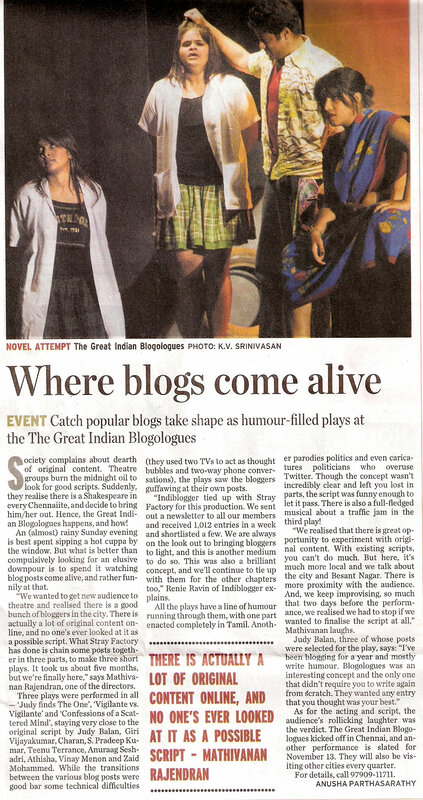 Previous story IndiBlogger.in has been Bangalored!